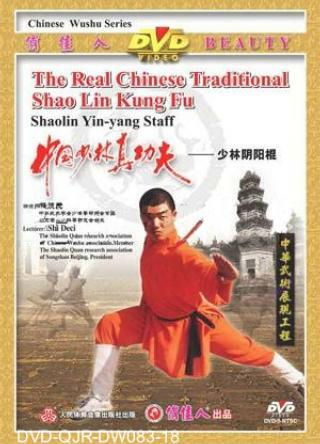 Yinyang Cudgel is one of the Shaolin weapons. It is said in Chinese mythology that since human beings were created, the sun means Yin while the moon means Yang and so Yin stands for softness and yang for hardness. Yinyang Cudgel is named indicating that it is played hard or softly, with feints and attacks in successive change. The play of this cudgel is the advanced weapon routines. Movements often used are thrust, point, chop, sweep and swing in figure-8 form.